Bigfoot Press is the name I chose as my "imprint" - the trade name under which I publish my books. Why did I choose Bigfoot Press, you ask? Well, first off, I'm almost two metres tall and I like to trail run. My trail running buddies have nicknamed me "Bigfoot" and "Sasquatch" due to the manner in which I sometimes crash through the woods. Second, look at the below photos. 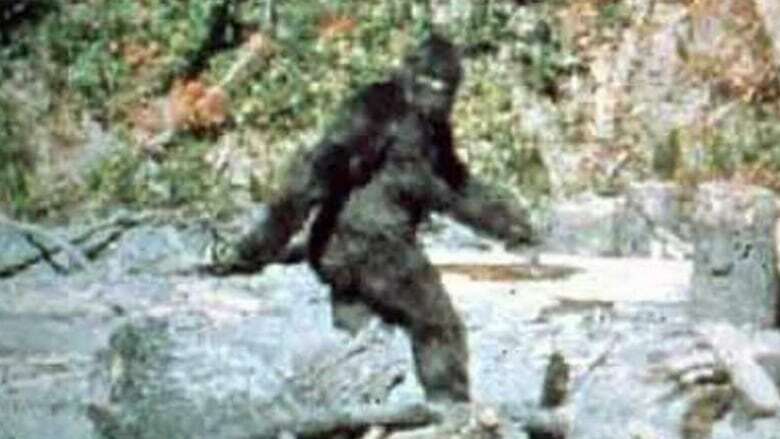 On the left is a frame from the 1967 Patterson/Gimlin film allegedly capturing Bigfoot in a forest in Northern California. On the right is yours truly during the 2010 Ironman Canada triathlon in Penticton, BC. Photo by Roger Patterson / Bob Gimlin. Photo courtesy of Deanna Blake Lowther.